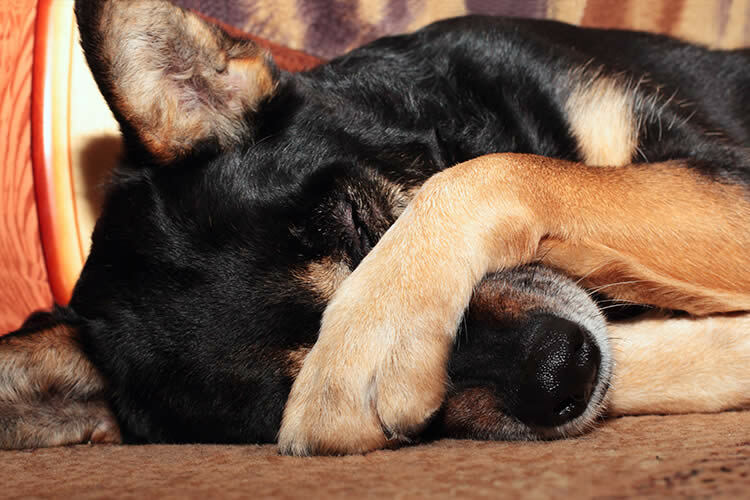 Why Do Dogs Cover Their Eyes With Their Paws? Ah, the old paw-over-the eyes routine. It’s a super cute move, but what does it really mean? Could our pooches actually be doing it out of shame, embarrassment, or anxiety over some unbearable thing they’re about to witness, as in “OMG, I can’t look!” Well, as much as we humans just love to impose our own species’ emotional states onto our canine friends (because it makes for hilarious animal memes, are we right? ), we might also want to take a look at what the experts have to say about why your dog may be putting his paws over his peepers. Just Wiping My Eyes…Wait, What’s So Funny? I’m So Adorable, Right? Belly Rubs, Please! If every time Little Miss Cupcake holds her paws over her eyes you immediately coo: “awww, that’s too cute!” and reward her with behind-the-ear scratches and belly rubs, you can bet your life that she’ll learn to associate that move with getting lots of positive attention. In other words, you may be unwittingly training her to do perform the adorable move because she knows you love it — and that she’ll be rewarded for it in return. Clever girl. Ok, so you may have already guessed this one because shielding one’s eyes when scared or anxious is also a human trait. Like, when we were kids and wanted to escape tough situations, we would cover our eyes to make it all “disappear.” (Made complete sense to us then!) It could be that your dog is responding to stressful situations in kind — not because he’s hiding, per se, but it’s just his own manneristic response to the emotion. If he’s prone to anxiety, it could become a compulsive behavior that (for whatever reason) provides him with some comfort when he’s feeling stressed — similar to a person face palm-ing. If you suspect that this is the case, it’s best to talk to your vet to see if you’ve got an overly-anxious pup. As pack animals, dogs are constantly trying to figure out where they fit within the pecking order of a group, as a dog’s “place” in the pack constantly changes depending upon the situation. If a dog thinks that another dog might pose a threat to him at that moment, he’ll pre-empt any aggressive moves the other dog might make by doing something that communicates: “hey, I get that you’ve got the upper-hand right now, and I’m totally cool with that.” He could send this message in a variety of ways: by getting low to the ground, rolling over to show his belly, and/or by covering his eyes with his paws. I mean, how can anyone want to go into attack mode after seeing something as adorable as that?